Buy Battlefield 3 Origin Only Key – less than $29! 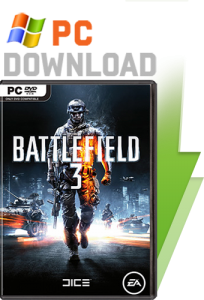 Battlefield 3 serial is now available for purchase at CJS CD Keys! The activation code can be used on origin for a full download of the game! You can activate the battlefield 3 serial number on the Origin client (known as EA Download manager before). Once you’ve activated the battlefield 3 product code, you can start downloading the game! Once downloaded, you can play the game! The game keys are taken directly from physical retail copies, brand new and sealed. Because of this you get exactly the same product as what you’d get buying from a physical shop! Once installed you can play battlefield 3 multiplayer and singleplayer! The game is the best selling game of 2011, and an absolutely amazing game, so buy now! You simply can’t miss this release. It’s the best game released OF ALL TIME, in our opinions. Again, at this time it’s just $29.99 USD which is only £20 GBP! So this is simply an amazing discount that you cannot miss! Who are CJS CD Keys? CJS CD Keys is one of the largest and longest established activation code shops online today. We have served over 1.9 million visitors over our 3 years of business, and during this time have built a huge reputation. You can join our facebook page where you can interact with our 4,000 strong facebook fan-base by clicking the link at the top right of this page. We also boast over 1,500 customer reviews, which can be found on our reviews page, HERE. We are widely regarded as the best CD Key Shop online today, not only because of our cheap prices, but also because of the premium customer service we provide. We provide totally instant delivery, thanks to our unique autokey system. This means that you can collect your battlefield 3 activation code immediately after your payment. We import bulk games from abroad, where games are cheaper, and sell them on in the richer countries. This allows us to sell games while also passing on huge savings to the customers. Our activation codes are only bought from genuine and authorised distributors who have a proven track record in providing consistent stock of games including battlefield 3. This ensures that our customers only receives the best quality in games. So, buy today and receive instantly! It’s the best price you’ll find on the internet. And best of all, if you do manage to find a cheaper price, email us and we will beat it! All of the products sold by CJS CD Keys are backed by a lifetime guarantee. That means that if you aren’t satisfied with your item in any way whatsoever, we will give you a full refund with no questions asked. We are confident that this will not be necessary however, since we have 99% customer satisfaction rate! We pride ourselves in always being on time for delivery, and providing email support with replies being sent within minutes. So again, our battlefield 3 is just $29.99 which is an amazing price for the game, so buy now! We hope you enjoyed reading this article! Again, please do read our facebook page and our reviews page to read what our happy customers are saying about us! We are confident that after your first purchase with us, you will keep coming back, time and time again. Did you know, nearly 60% of CJS CD Keys customers come back a 2nd time to buy additional games as repeat customers! Battlefield 3 Serial at $29.99 is a great price, which you simply can’t ignore. so Buy now today! If you Pre-order Battlefield 3 Origin Digital Download CD Key from our website this week, you can get it at the special price of just $29.99! That’s just £20! This is a special one-off deal which allows customers to get a full legal download of battlefield 3 at over 50% off retail price! This is a fantastic deal, so pre-order now before the price goes back up again! Approximately 7 days before battlefield 3 release date, the key will be made available for collection on our online AutoKey System. This is our online system that delivers keys to our customers. Once you receive yor battlefield 3 activation code you can enter it into EA Download Origin client which will grant you to a full download of the game. Once installed you can play the game on both singleplayer and multiplayer! Again, the price is just $29.99 which is an amazing price for the battlefield 3 preload! So what are you waiting for? Buy now by CLICKING HERE! 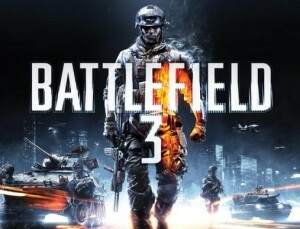 You can buy battlefield 3 cd key for only £24.99 at CJS-CDkeys.com! They have the pre-order of bf3 available now for only £24.99! That’s equal to just $39.99! The keys come as a digital download, useable on EA Downoad Manager. They will grant you to a digital download of the game, which is binded permanently to your EA Account! You can then download and play the game! CJS Keys also sell the limited edition of bf3 for just £29.99 which is also an awesome price. The battlefield 3 serial will allow full multiplayer access, so you can play the game online with all of your friends! Also, this bf3 serial that CJS CD KEYS sell even have a price guarantee! What this means is that if you find this game at a lower price anywhere else, CJS CD KEYS will beat that price! All the keys are genuine unused photographs of the key code which are taken directly from retail boxes. So you can rest assured that your battlefield 3 product key is genuine. BUY BATTLEFIELD 3 FOR $39.99 NOW!